Walt: make connections across a wide range of texts. I've been reading lomio year 5/6 camp, he was a year 6 and it all started in 2015. He said that he was the leader for true crew. He got started with the activity called the top town or the way that people call it the killer zone. It was really scary because there was 5 activity's to do I the killer zone but they also had to work as a team because there was two teams that was facing each other for points. It was really interesting because they got to go for a swim at the pools. When they were finished they had to have a shower but only had like 5 to 6.5 minutes and 35 seconds in the shower. This is when it gets funny because he said that in his tent was funny because when someone will walk he would fart and then the person that just finished walking near his tent will walk away. One night him and his friends had a farting contest and he won!!! My camp was totally different because My tent was about to break on the second night then all of us had to sleep in the class rooms. The group that I was in was the kind crew and did you know that kind crew was the best but they didn't win that is confusing right. Every morning we did jump jam. You know what we didn't get to sleep in to tents because it was to windy so we got evacuated to the class rooms. His favourite part of camp was swimming and going to the game called the killer zone. My group didn't get to go kayak because of the weather but we did get to do some really fun games at the beach. I will give a shout out to lomio for the fantastic writing about year 5/6 camp. I loved your writing but mostly the farting bit in his tent. Task description: We had to read from another person blog to try and find there year 5/6 writing and then had to talk about and also had to make another paragraph about how our camp was different. Task Description: We had to do two brochure front and back. We also had to talk about the secrets of rangitoto which was really interesting because the eruption from rangitoto was destroyed for a reason cause the couple was arguing and didn't noticed the fire had burned down and gone then got told a lesson from mataoho. Far far away there once was a place where wolves could talk. There was a wolf that lived with her mom, but she loved to hang out with her grandma. Her name was little Red Riding wolf and she had scarlet colored cape and beautiful red bow tie that she would always wear, on that day her mom was cooking some yummy meat and also found some bones and placed it in a basket. Then told her daughter to give these meat and bones to her grandma so Little Red Riding wolf went to her beautiful and sweet grandma. On her way to her beautiful and sweet grandma she found some flowers and added it into the basket, but then a big bad human girl saw her and said ‘ I hate wolves I should poison a special thing of mine that i’ve been doing without my mum and dad knowing, so the big bad girl went to go find some delicious bread and poisoned it which made it look evil and disgusting then went up to Little Red Riding wolf. Asked her if she wanted to add some bread to her basket with yummy food, Then Little Red Riding wolf said ‘oh well thank you and yes I will add it to my basket’ and moved on. On her way to her grandma’s the bread accidentally dropped out of the basket and she didn’t noticed and carried on. On that day Little red riding wolf made it to her sweet old grandma’s cave it was little red riding wolf's first time seeing her because her grandma was getting old and was she(little red riding wolf) was too busy to talk to her on the phone so yeah she was excited to see her grandma. Finally she got to talk to But then the evil girl was making her way from seeing the little red wolf's foot prints. When the the big bad girl got to the cave she saw little red riding wolf talking to her grandma and was waiting for her grandma to hurry up and eat the bread, So little red riding wolf finally gave the meat and bones and gave her some flowers to make her feel cheerful the big bad evil girl was so happy but the confusing thing was that little red riding wolf didn’t pick out the bread. The big bad girl got frustrated it was getting dark but luckily little red wolf and her grandma was under shelter before they would of got cold and without the blanket they still wouldn't feel so cold to. The big bad girl was getting cold but she still wanted to watch, Little red riding wolf was getting tired but you know what the Big bad girl was already sleeping. Little red riding wolf was sleeping and also her grandma but While the girl was sleeping, her mum was looking for her every where but there was finally the last place was the cave and found her in the corner outside of the cave. Her mum was so angry because she didn’t know why she was their then thought the wolfs was trying to eat her then never let the girl outside again. Task Description: We had to write about little red riding hood but had to do a twist. I had to make it like it like the videos that we watch but just added weird stuff into it not like weird as just a little bit. Task Description: We had to do family facts and tried to do the Just figured out that timetables are just like divides. Walt: know that multiplication relates to division Task Description:We had to figure out what was the equistion with the family facts. We were also learning about that divides are just like timetables. Task Description: How we made the video was did part by part in just two days. We named our group and first it was ruby's but we thought um that sounds like a girl name so we changed it into the pythons get Thru. The.The first thing we did was yes did part b y part but after that we had a document and did our plan and that is how we did it. Task description: I learnt how to use the number line. And then I was surprised cause I got the answer just like that. Once there lived 3 little pigs, and they lived with their mum and dad. One day their mum told them to go build their own houses. The 3 little pigs found where they were going to build it and started to get on with it. The first pig built their house out of hay. While he built it he sang a song because he was rushing to do it, but it was really neat. The second pig built his house out of sticks, he also sang a song because he was happy he finished it quickly. The third pig was on to it, he never wanted to sing because he was so busy building his house. While the other two were singing the third pig built his house out of bricks. On that day the two pigs were still singing then a wolf caught them while they were mucking around. The wolf was so hungry that his mouth was dripping saliva then started to chase after them. The first pig ran to his house, the wolf came and and knocked on the door boom boom boom!!! then said “can i come in?”. “You can’t come in, not by the hair on my chinny chin” the first pig replied. The wolf came and said ‘‘I will huff and I'll puff and I will blow your house down’’. Then the first pig went to run to the second pig’s house. 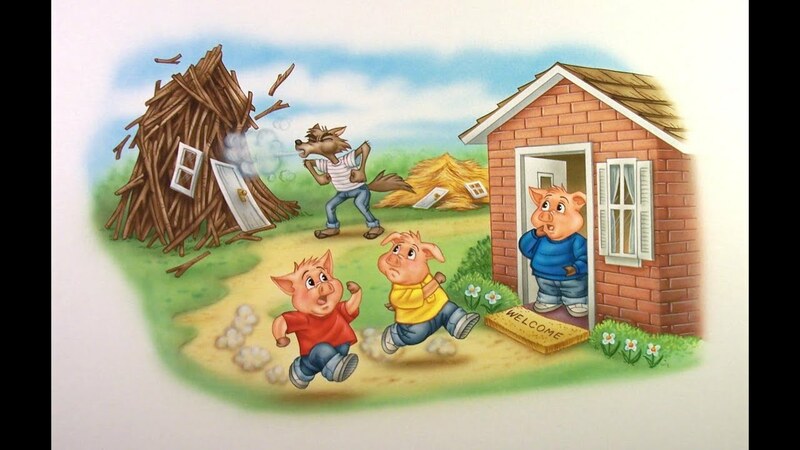 The wolf then came to the second pig's house and said the same thing and blew his house down. So yes they did go to the 3rd pig’s house, the wolf asked pigs can I come in but the pigs said not by the hair of my chinny chin chin. So the wolf did huff and puff to blow the pig's house down but the thing was it didn’t work. So he tried climbing the chimney so the pig’s let a fire to make the wolf go away, the 3 little pig’s were hoping the fire will let in time and it did but the wolf didn’t know. Wolf was laughing then that was when the fire went and made him fly away from the pig’s house, and the 3 little pigs lived happily ever after. Task Description: We watched 4 story's of the three little pigs and retold it in our own words. Walt: We are learning about earthquakes. Task description: What we learnt was things about earthquakes and also knew the drills.